How many of you don’t have time time to workout…and when you do, you have no idea how to get in a quick, efficient workout that will actually get you results? What about nutrition? Sure there are diets everywhere, but none of them are sustainable…we’ve all tried that route and failed miserably, right? Don’t you wish you had a meal plan designed by a nutritionist just for you to get you to your goals? A meal plan that actually tastes good using REAL FOOD and is easy to follow? What if I told you the solution to both of those problems could literally be at your fingertips?? I am SO INSANELY EXCITED to tell you more about this new challenge pack Beachbody has created. I’m excited for no other reason than the fact that it is a HUGE game changer for super busy working parents like myself who can’t afford to let my health or fitness go just because of lack of time. It wouldn’t be only me that would suffer, but my family too. They deserve my best and I’m determined to be that for them. I know the struggles….I see the solution…and I want to SHOUT it from the mountaintops! 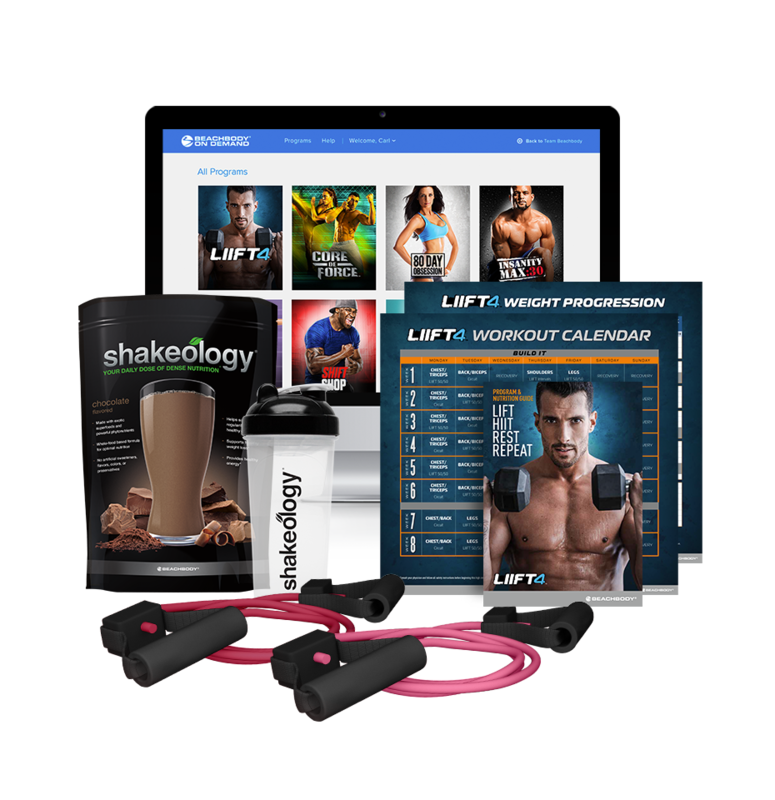 A ONE YEAR BEACHBODY ON DEMAND MEMBERSHIP WITH ACCESS TO ALL BEACHBODY WORKOUTS EVER CREATED *PLUS* ALL 2017 PROGRAMS THAT WILL BE LAUNCHED THIS YEAR. Already a Shakeology drinker but not a Beachbody On Demand member? You can purchase the 1-year All Access Pass On Demand membership separately for only $99! If you think I’m a sales person, you are dead wrong. I’m in the changing lives business. I know how much Shakeology and Beachbody programs have already changed my life and my family’s life and there’s NO WAY I’m keeping this goodness all to myself. To make things even SWEETER, Starting January 9th, We are starting the “Health Bet Challenge” where Beachbody is putting their money where their mouth is and betting $2-3 MILLION on our results. The ONLY thing required is that we are a part of a challenge group and we log our workouts & Shakeology on our My Challenge Tracker App. THAT’S IT! And at the end of the 4 weeks, everyone who met the minimum logging qualifications will receive a check with an equal share of this HUGE amount of money! Who wouldn’t want to get paid to workout & drink superfoods?!?! Sign me up! Let me know if you’d like to join us in our next challenge or if you’d like to take advantage of this amazing opportunity to get every program Beachbody ever created! I’d be happy to get you set up!